The heat run is the ultimate wildlife encounter, multiple whales competing for a female which can last for hours or even days. Males show a multitude of behaviours while in a heat run: bubble netting, open mouth gulping, physical contact, loud acoustic sounds, it is truly one of nature’s great events. After 16 years I have documented some of the most common and unusual behaviour seen by Humpbacks in the region, but it is truly heart-thumping and adrenaline-pumping action to be a part of. There is so much people can learn from this type of behaviour or in its simplest form, there is so much they can appreciate and respect once they see something like this. 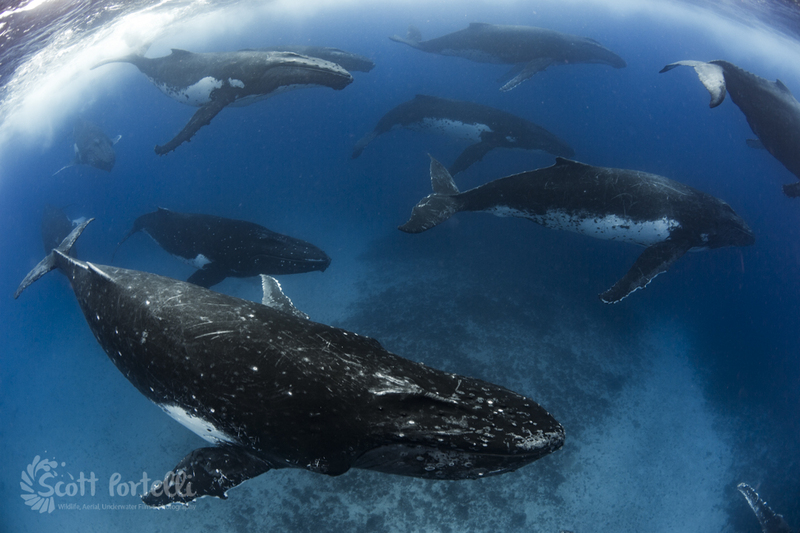 Stay tuned for my paper called 1000 days in water observation and behavioural study of Humpback whales of Tonga.